Where is it now? As part of Leuzinger Memorabilia, it was brought inside The Main Building just outside of Rice Auditorium around 2003. 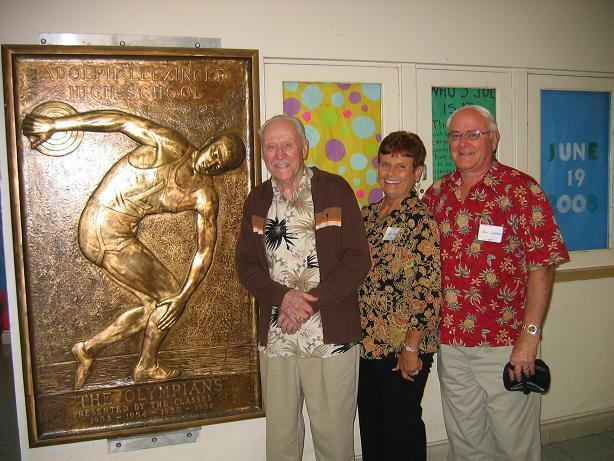 Here Dale Nier - Class of 1933 with Kay and Don Walker pose in front of The Bronze Plaque that stood so proudly in Senior Square for decades, all polished and good as new!